Based in the UK, Mike has taught tennis for over 25 years working with players of all levels and is the Founder and CEO of evolve9. Mike has presented at numerous National and International conferences and authored magazine articles and manuals. He has worked on programs for USTA, Tennis Australia, LTA (GB), Chinese Tennis Association and many other tennis nations including Holland, Norway ,Estonia, Cyprus and Hungary. Mike was the author of the ITF Tennis10s Manual and has a been a major contributor to Under 10 programs around the World. As well as his role as Director of evolve9, he also works for the LTA as a Coach Education Master Tutor, delivering coach education, certification and training. An LTA Level 5 Licensed Coach, he was also the 2007 PTR Professional of the Year. Dr Richard Charlesworth AO is one of Australia's greatest ever coaches. As a hockey player he was selected for five Olympic Games, he is also a former State cricketer, a medical doctor and Arts graduate, and Federal Member of Parliament. 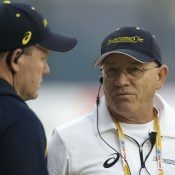 His coaching formula is part of the reason for the sustained success of the Hockeyroos at the Atlanta and Sydney 2000 Olympic Games, and for 8 consecutive years the team was ranked number one in the world. Between 1994 and 2014 Charlesworth was ‘Coach of the Year’ 8 times and in 2005 Richard was selected as Western Australia’s greatest ever hockey player and also Western Australia’s greatest ever coach. He is a member of Hockey’s Hall of Fame, an FIH Master Coach, a legend of the Western Australian Sports Hall of Fame and in 2014 won the inaugural Australian Institute of Sport World’s Best award. David Miley was the Executive Director of Tennis Development for the ITF for over 20 years, focused on juniors, seniors and wheelchair tennis. David was responsible for establishing the ITF's Coach Education Programme in 1993, and is the author of 7 tennis books and coaching manuals. David chaired the ITF Intro to Tennis Task Force, which was instrumental in the development of the ITF's Play and Stay campaign to increase participation, and the development of Tennis10s and the use of the red, orange and green balls. Mark has over 30 years’ experience as a Coach, Coach Educator and Venue Manager in the UK, specialising in particular in developing starter players. Mark is a qualified LTA Level 5 Coach, a qualified Coach Education Tutor and Assessor, and has been training coaches for the LTA and ITF for over 15 years. 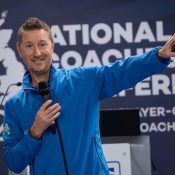 As Director of inspire2coach, a company he co-founded in 2007, he not only manages more than 30 tennis facilities across the UK, but is a highly impactful Coach Educator, managing the company’s two Coach Education Centres, and the largest programme of Level 1 and Level 2, Level 3 and Level 4 qualifications in the UK. Dr Juanita Weissensteiner is the acting Head of the Athlete Pathways and Development section at the Australian Institute of Sport (AIS). A physiotherapist by background, Juanita is an original co-author of the FTEM (Foundation, Talent, Elite and Mastery) athlete development framework utilised by the AIS to inform the review, refinement and support of the entire athlete pathway from a foundational to a podium level. Juanita has worked directly with over 30 Australian National Sporting Organisations and consults internationally. She is also a co-contributor to the recently published International Olympic Committee’s consensus statement on Youth Athlete Development. For over 2 decades Carol has worked as a coach, speaker and trainer in the Professional Development Industry. Carol has experienced the mindset of champions firsthand, as Victoria’s first professional female surf lifesaving lifeguard, as a national level swimmer and as a water polo player. She has also experienced firsthand the unique aspects of volunteering and paid participation in the surf lifesaving environment. 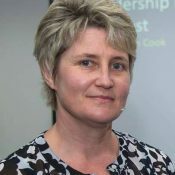 Carol has a real interest in women in leadership and her Master’s Thesis: “Women’s Perceived Barriers To Elite Coaching Positions In Australian Sport “was used extensively by the Australian Sports Commission in determining policies for women in sport. Ruben Neyens combines the roll of head of coach education and physical coach for the High Performance Department U12 for Tennis Vlaanderen (= the Flemish Tennis Federation). Together with a team Ruben coordinates programs and projects like KidsTennis, Physical coach development, regional workshops and many more. He is co-author of the manual KidsTennis and developed the physical coach manual an several other coach education programs. On ITF Tennis iCoach and Instagram you can see a lot of contributions about physical training. He has also been a speaker at national and international conferences. Ruben has a degree in Physical Education and started his career in his own town Tessenderlo as head coach. 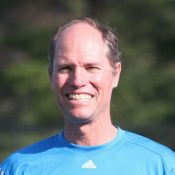 Bill has been a tennis teaching professional and coach for over 28 years at all levels. For the last 20 years he has served as the Director of Tennis at the Bluegrass Yacht & Country Club in Nashville, Tennessee overseeing all aspects of the tennis program on and off court. He spent 9 years coaching college tennis where his players and teams were nationally ranked. 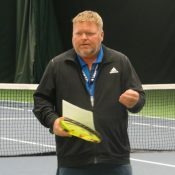 Recognised as a High Performance Coach by the USTA, PTR and USPTA, Bill has been a featured speaker at a number of tennis industry workshops, conferences and conventions including at the PTR International Symposium, the US Open Tennis Teachers Conference and a variety of USPTA and USTA conferences throughout the USA. A global traveller, Laura Youngson recently led a group of women to the top of Kilimanjaro to set a soccer world record for the highest altitude match. She co-founded the Equal Playing Field project to shine a spotlight on the gender inequalities that exist in sport and inspire women and girls to challenge these norms. 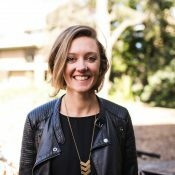 She recently moved to Melbourne to study a Masters of Entrepreneurship at the University of Melbourne having lived and worked in Brazil, Azerbaijan, Mozambique and the Middle East. After playing professionally for 19 years and reaching a career high singles ranking of 36 in singles and 18 in doubles, Nicole is currently the Head of Women's Tennis for Tennis Australia and serves the WTA coaches' committee. During her playing career Nicole was a member of the Federation Cup team for 10 years and competed in the Sydney 2000 and Athens 2004 Olympic Games. 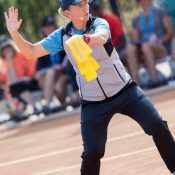 Nicole has a wide variety of experience as a coach since gaining her High Performance Coaching qualification, including coaching Casey Dellacqua to a career high singles ranking of 39 and 11 in doubles, being appointed the Head Coach of the AIS Women’s program in 2011-2014, and more recently coaching Daria Gavrilova to a career high ranking of 36. Mark is a visionary leader who has 40 years of experience in the IT industry, starting his career as an academic at Melbourne University and RMIT University before founding his first startup in 1990. 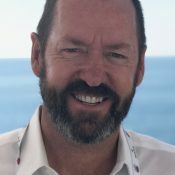 Having been involved in numerous startups, Mark has significant experience in developing and leading IT companies in the Australian, US and Global Markets. His high level expectations of developers, technology and equipment are enabling sporting organisations to articulate coaching resources on mobile technologies. A USPTA and RPT(Registro Profesional de Tenis) Spanish Master Professional, Feisal is the Vice President on the USPTA National Board. 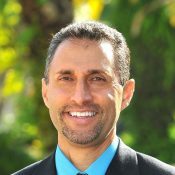 He is a member of the Head/Penn Racquet Sports National Advisory Board and National Speaker’s Bureau, a TIA Cardio Tennis Trainer and holds USPTA specialist degrees in Competitive Player Development, Facility Management, Sport Science and Little Tennis. He is on the USTA National Faculty for Youth Coaching and co-chairs the USPTA National Education Committee and USPTA National Testing Committee. Feisal serves as an instructional clinician for the “On Court with USPTA” series featured on the Tennis Channel and was voted Tennis Industry magazine’s prestigious “40 Under 40”. Craig is an Australian tour coach and Director of the Brain Game – a sports science website that specializes in the video analysis of tennis matches that teaches the patterns of play that dominate our game. Craig is widely recognized as the world leader in teaching tennis tactics and is the strategy analyst for the ATP World Tour, WTA Tennis and the New York Times and Tennis Magazine. Craig has researched thousands of matches using his unique Dartfish Match Tagging software to unlock the secrets of our game and uncover the patterns and percentages that really matter. He teaches this knowledge through his website and also on court with players at all levels of the game. Edgar Giffenig was a highly ranked junior in Mexico and played for the University of Texas where he completed an undergraduate degree in business and a graduate degree in exercise physiology. Starting as an assistant coach in his alma mater, Edgar has been coaching high performance players for the last 25 years. He was a national coach for the USA, Germany and Mexico as well as a partner in two major tennis academies: Centro Mextenis in Mexico and International Tennis Academy in the USA. 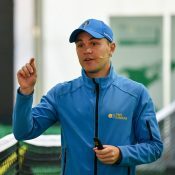 He has been a speaker at many national and international coaches conventions (ITF, PTR, ITA, USTA, DTB, FMT) and is a partner in TennisGate, a company specialising in player development media. Edgar finished ranked 5 in the world in the 55's in 2016. Currently Edgar directs the tennis program at the Norfolk Country Club in Connecticut. Marcus Crow is in his 20th year of professional practice as a group facilitator, adult educator and keynote speaker. In 2012 he co-founded 10,000 HOURS a specialist firm of senior facilitators and adult educators focused on skill acquisition for senior executives. 10,000 Hours is retained by ASX200 organisations to deliver facilitation and executive-education experiences for their most senior teams. His ideas and perspective on adult learning, skill acquisition, healthy teams and uncertainty have been published in The Australian, Business Insider, Dynamic Business, The Australian Financial Review. Most weekends he can be found riding the emotional highs and lows as chief sponsor to two 12/U tennis-mad boys. Craig Cignarelli is one of America’s most prolific player development coaches. With six #1 ranked national players and a five-year stint coaching at the tour level, Craig has worked with players at every stage of the game. 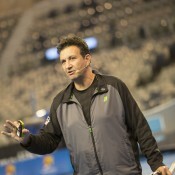 With insight stemming from time with Robert Lansdorp, Pancho Segura, Paul Annacone and Eliot Teltscher, his emphasis on tactical structure makes him unique among conventional coaches. A Lead Physical Performance Coach for Tennis Australia, Queensland. Mark has a degree in Strength and Conditioning Science from St Mary’s University, London, and has been accredited with the UK Strength and Conditioning Association since 2009. He spent two years at a regional high performance centre, developing their Strength and Conditioning program, before spending six years at the National Tennis Centre for the LTA. He has worked with leading singles and doubles players, including Johanna Konta. He then moved to the British Swimming National Training Centre, working with elite Olympic athletes and Rio gold medallist, before taking the plunge and moving to Tennis Australia. Ryan obtained his Bachelor of Physiotherapy, before continuing on to complete his Masters in Exercise Science (Strength and Conditioning). A Tennis Australia Club Professional Coach, Ryan has worked with junior through to elite athletes, as the National Academy (Melbourne) physiotherapist, as well as being an Australian Open physiotherapist for the male athletes. Danielle is a Sport Science and Athlete Development Analyst at Tennis Australia. Her role includes managing the National Academy athlete management system as well as undertaking internal and external research. Part of her research portfolio includes reviewing the junior and professional tennis structure worldwide in partnership with the International Tennis Federation. Danielle is also the the Australian Fed Cup team manager. She is currently undertaking her PhD at Tennis Australia and Australian Catholic University with her research topic exploring the relationship of training loads, musculoskeletal function and shoulder injuries in elite, youth tennis players. Nick is the founder and director of BreakPoint Analysis, a nationally recognised video analysis company that provides video analysis services to junior and aspiring professional players. In his four years at BreakPoint Analysis, Nick has filmed approximately 40,000 matches at over 200 tournaments, and provided data driven solutions to help players and businesses improve through the power of video. Nick is a Club Professional coach, with a Bachelor in Exercise Science and a Master of Management from Melbourne University, where he currently runs the tennis program. 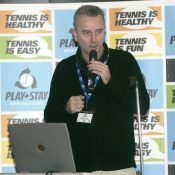 Previous roles at Tennis Australia saw him provide video analysis to Sam Stosur, and help create and develop the Tennis Australia Technique App. Voyager Tennis Academy has more than 40 program graduates who have achieved U.S. College tennis scholarships and currently trains over 100 nationally ranked players in Sydney. Voyager was founded in 2011 by Ryan Henry and Luke Bourgeois. As juniors both Ryan and Luke both achieved a world number 1 ranking in doubles and were top 20 in singles and have extensive experience on the ATP Tour. Throughout their careers have had wins over players such as Jo Wilfred Tsonga, Thomas Berdych, Andy Murray and David Ferrer. Voyager Tennis Academy, runs programs across 6 sites in Sydney with more than 20 coaches and has been developed with the specific objective to enable more students to further both their education and development as a tennis players at U.S. Colleges. Dr. Damien Lafont & Natalie DeanDamien Lafont, Ph.D. is a peak performance and mental training expert, tennis coach, author and educator in the field of science of performance. He has worked with elite and Olympic athletes in major sports including tennis, swimming, UFC, BMX, and golf. Now based in Melbourne, Australia, as Director of Vida Mind, the sport psych branch of Vida, one of the largest tennis academy in Australia, Dr Lafont provides mental training and tennis coaching; one-on-one locally and worldwide. Natalie Deane is an author, mental coach, clinical hypnotherapist and strength and conditioning coach. 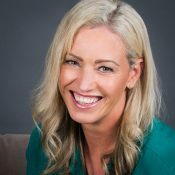 Natalie has been coaching clients for over 20 years and has worked with hundreds of athletes all over Australia, including Olympians, World Champions and National teams. Nick is a development coach, who specialises in helping young children on a performance tennis pathway. Nick has worked in Talent Identification for both the LTA and Wimbledon, and was previously Head Coach of two High Performance academies in the UK. Nick has developed multiple national champions in both Europe and New Zealand, many of these players have achieved tennis scholarship’s at major universities, and many have also gone on to play on the world tour. Clint is the Tennis Australia Talent Development Manager in Queensland. Clint previously worked as a private coach, producing 8 National Singles Champions, and was a Tournament Director for numerous Pro Tour and Junior ITF events. 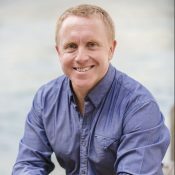 He is a former winner of the National Talent Development Coaching Excellence Award, a 4-time finalist at the National Awards and 4-time winner of the Queensland Coaching Excellence Award. David Sammel, Head Tennis Coach at TeamBath-MCTA, creator of Locker Room Power (LRP) and widely espected consultant across professional sport. David has over 25 years’ experience in world tennis, coaching international players to career high rankings who represented their countries in The Federation Cup, Davis Cup and the Olympics. David is an official ATP Coach member in recognition of his many years on tour. In the past he has been a regular contributor to interviews by the UK tennis media including BBC Radio 5, BBC local radio, The Times, SkySports and he is a contributing editor for Leaders in Performance and Tennishead Magazines. 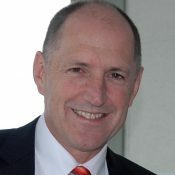 Professor Alexander Ferrauti is dean of the Faculty of Sports Science at the Ruhr University of Bochum (Germany). He is professor for training science and head of the Department of Training and Exercise Science. His special working fields are training and testing and energy metabolism. He published numerous papers and textbooks related to tennis in theory and practice. He is scientific Consultant of the German Tennis Federation and A Level Tennis Coach. Interested in presenting at the Conference? Download the Expression of Interest form here.